A FOURTH TEENAGE boy has brought a High Court challenge over allegedly being kept in solitary confinement at Oberstown youth detention centre following a fire there. The teen, who cannot be identified for legal reasons, claims that since the blaze broke out in late August he has been confined to a room, given basic food and refused access to others without any reasons being given. He also claims his access to recreation, education facilities, reading materials, and family visits have been withheld and that these actions and his unlawful detention in solitary should be ended. The boy’s legal team brought proceedings against the Director of Oberstown Children’s Detention Campus and the Minister for Children and Youth Affairs. He claims he has received inhuman and degrading treatment in breach of Oberstown’s own regulations for dealing with children and his rights to association with his family have been breached. Today Justice Miriam O’Regan granted the teen’s lawyers permission to bring the action. The case is to be heard in conjunction with the other three which were all initiated last week. Micheal O Higgins SC, who appeared with barrister Gavin Keogh, said the conditions of the boy’s detention were relaxed after other children, who also claim they have been unlawfully kept in solitary, complained to court. 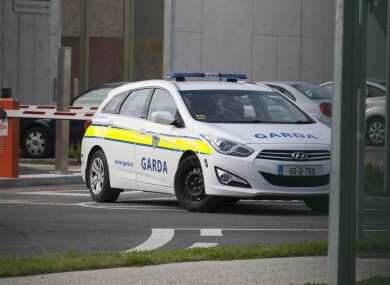 The boy is the fourth teen detained at Oberstown to bring an action arising out of the conditions of his detention. All four seek orders from the High Court bringing their detention in solitary confinement to an end. They also seek various declarations including that their constitutional rights to bodily integrity and rights under the European Convention on Human Rights have been breached. When the other cases were last before the High Court lawyers for Oberstown and the Minister for Children and Youth Affairs denied they were kept in solitary confinement. Email “Oberstown teen claims he received 'inhuman and degrading treatment'”. Feedback on “Oberstown teen claims he received 'inhuman and degrading treatment'”.